India’s forecast coffee consumption 2019 | Is still India a coffee tea? Even if India is still a tea country, it’s growing trend shows how India might become one of the world’s largest coffee producing countries. A legend says that many coffee growing farmers have never tasted coffee in their lives but they consider coffee just another crop they sell to the west. 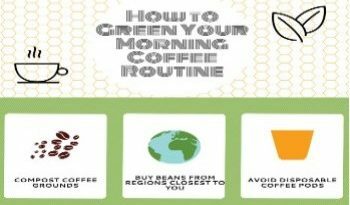 In the past, a data analysis showed that roughly two thirds of India’s population didn’t drink coffee. 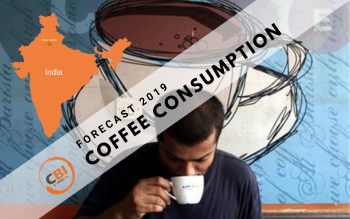 Even if the last decade increasing coffee demand by 40% is indicative of a growth in coffee culture, India’s per capita coffee consumption stands at 0.03 kg (forecast in 2019). Revenue in the Coffee segment is forecast to be around US $423m in 2019 with a market that is expected to grow annually by 7.7% (CAGR 2019-2023). 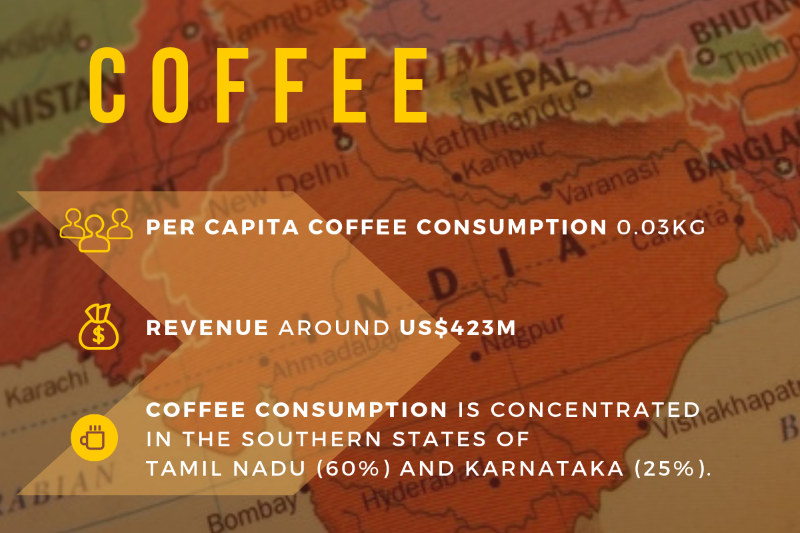 Coffee consumption is mostly concentrated in the southern states of Tamil Nadu (60%) and Karnataka (25 %). 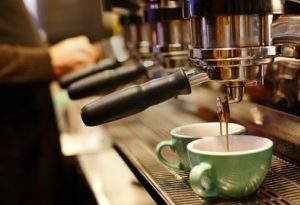 Roasters and grinders (Cothas Coffee, Leo Coffee, Seven Beans Co, Kalmane Koffee, Fresh ‘n’ Ground, Flying Squirrel, Continental Coffee, etc) are also based in the South, with very few operating in the North or the West. Even large, national supermarket chains stock roasted and ground coffees of big brands with little or no access to estate-specific, single origin brands to buy off the shelf. Are you approaching the Indian market or do you need to extend your business? 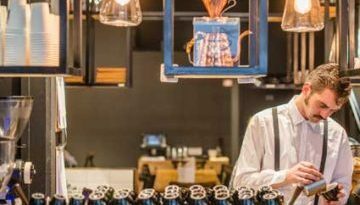 Buy the most detailed report on Coffee in the HORECA business with additional splits. ← Are Italians and British changing their coffee habits?